On the 16th, it was learned from the relevant departments of Weishan County that Weishan County Finance set up special support funds to support the development of new energy industry, and focused on supporting the solar photovoltaic industry, lithium battery industry and LED new light source industry. Weishan County set up new energy industry development support funds to support the development of new energy industry. In 2009, it raised 10 million yuan of funds, and in 2010 raised another 10 million yuan, which will increase year by year. The financial special support funds are mainly used to support the development of new energy industry, and focus on supporting the solar photovoltaic industry, lithium battery industry and LED new light source industry. At the same time, the â€œSolar Roof Planâ€ will be promoted to support the promotion and application of new energy sources and new light sources in Weishan County. Encourage the integration of solar photovoltaic and building optoelectronics in large public buildings, install solar power installations on urban buildings, public facilities and new residential roofs, and use photovoltaic power lighting in public facilities such as urban roads, landscape lighting, and river reconstruction. For the state to grant a subsidy of 20 yuan per watt, the city to grant 10 yuan per watt of subsidies, the use of local products, and then give 3 yuan per watt subsidy. In addition, for the LED lighting project using local products, in addition to applying for national high-efficiency lighting products to promote financial subsidy funds, the local government will give certain subsidies. 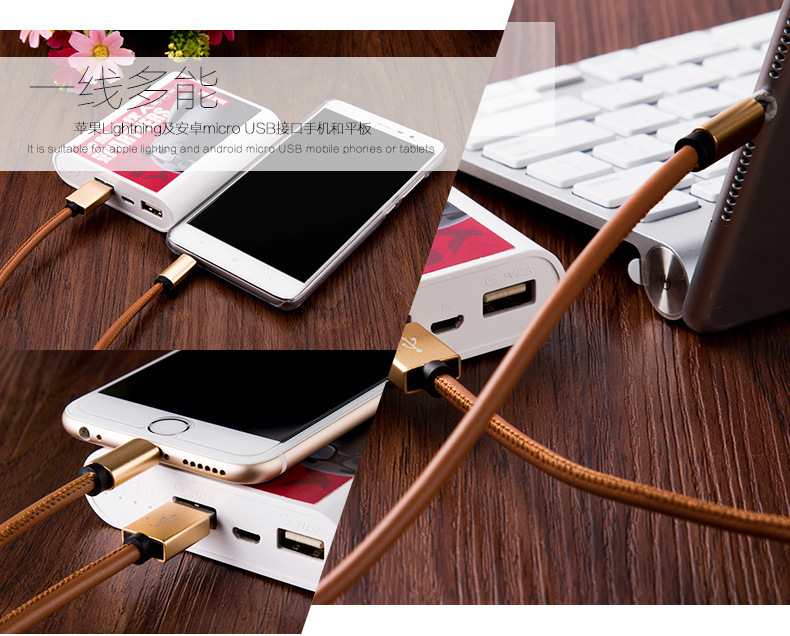 This product is made of cowboy cloth, smooth handle, beautiful color and various colors.wire has strong bearing, easy to break, and excellent anti winding effect.The charging interface and USB interface are made of high quality nickel plated joint. It is not easy to rust and plug. After repeated plugging and using, it will still not affect contact. 2.4 A high-speed charging, transmission two in one: perfect performance to achieve lossless fast charging and real-time data synchronization function.High purity oxygen free copper wire core: high purity oxygen free copper core is adopted inside the wire to ensure excellent conductivity.